A gripping page turner that will make you gasp at the injustice (there are a few but one really, really nasty and evil one that will have you groaning in despair, no spoilers here) and then there is triumph! You will cheer on the protagonists and celebrate their victories when “something worthwhile and more than an act of simple vengeance” p.311 leaves a smile on your face as you pump your fist in the air. YES!!!! I did enjoy this read! Another author to add to your must read list. 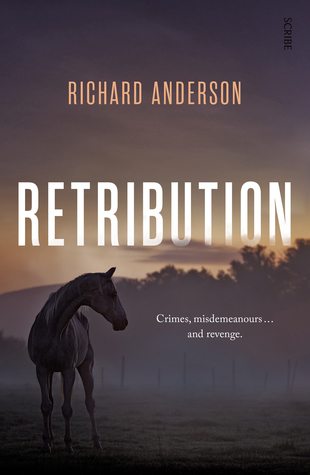 This entry was posted in Best Reads of 2018, Book supplied by publisher or author for review, Contemporary Fiction, Crime Fiction, Post Script: Book Reviews and tagged #Aussie Author, Aussie Author Challenge 2018, horses, mining, peaceful protest, small town. Bookmark the permalink. Ooh….love stories that feature horses. I’ve added this to my list. I’m sold! I loved your last recommendations to I’ll seek this one out!